After spokes persons for a seven part PBS television series entitled Evolution asserted that, “All known scientific evidence supports [Darwinian] evolution” as does “virtually every reputable scientist in the world”, a group of 100 professors, laboratory researchers and other scientists published a two-page advertisement in a national magazine under the banner: A Scientific Dissent From Darwinism. They did so with one objective in mind: to make a direct and defiant statement: “We are skeptical of claims for the ability of random mutation and natural selection to account for the complexity of life”. Scientists and researchers who earned their doctorates from such prestigious universities as Cambridge, Stanford, Cornell, Yale, Rutgers, Chicago, Princeton, Purdue, Duke, Michigan, Syracuse, Temple and Berkley. Professors from Yale Graduate School, MIT, Tulane, Rice, Emory, George Mason, Lehigh and the Universities of California, Washington, Texas, Florida, North Carolina, Wisconsin, Ohio, Colorado, Nebraska, Missouri, Iowa, Georgia, New Mexico, Utah and Pennsylvania. Biologists, chemists, zoologists, physicists, anthropologists, molecular and cellular biologists, bioengineers, organic chemists, geologists, astrophysicists, and other scientists. So, far from being universally accepted, Darwin’s Theory of Evolution is being challenged from all sides. The question then is – why? I think the answer is plain as day in the subheading of the two-page ad mentioned above: We are skeptical of claims for the ability of random mutation and natural selection to account for the complexity of life. To embrace Darwinism is to believe that everything comes from a random nothingness and that life sprang spontaneously from non-life. This is problematic because naturalistic processes have utterly failed to explain how non-living chemicals could assemble themselves into the first living cell. One glaring hole in the Theory of Evolution is the problem with transitional forms. Transitional fossils are the remains of those creatures which should be found ‘in-between’ one kind of creature and another kind. Charles Darwin himself indicated that the theory depends on intermediate forms be found in the fossil record – a discovery that he was confident was coming. The fact that they have not is trouble for Darwinism. Another big issue is not what’s missing from the fossil record but what is in it. The Cambrian Explosion is a sudden appearance in the fossil record of radically new life forms with no transitional forms. It turned Darwin’s Tree of Life on its head. According to some experts all of the world’s 40 phyla arrived on the scene at the same time. Phyla is the highest category in the animal kingdom. This historical event is very problematic to the evolutionist as the theory depends on slow changes over long periods of time. 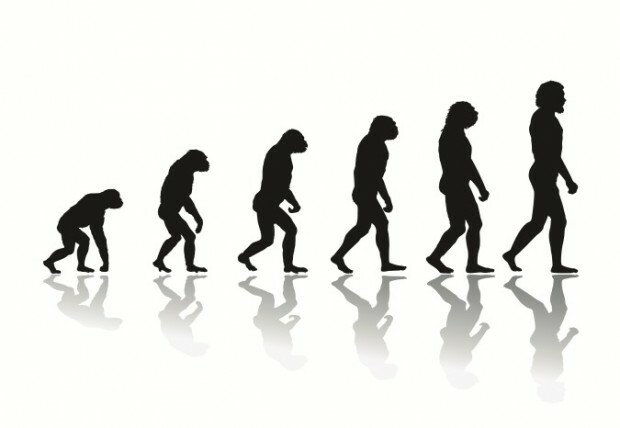 Other problems with the Theory of Evolution include the discrediting of the icons of evolution – The Miller Experiment, Darwin’s Tree of Life, Haeckel’s Embryos and the Archaeoptertx Missing Link. The fact that book publishers still use these images in science text books is nothing short of fraud. By now it should be clear that Darwin has troubles.